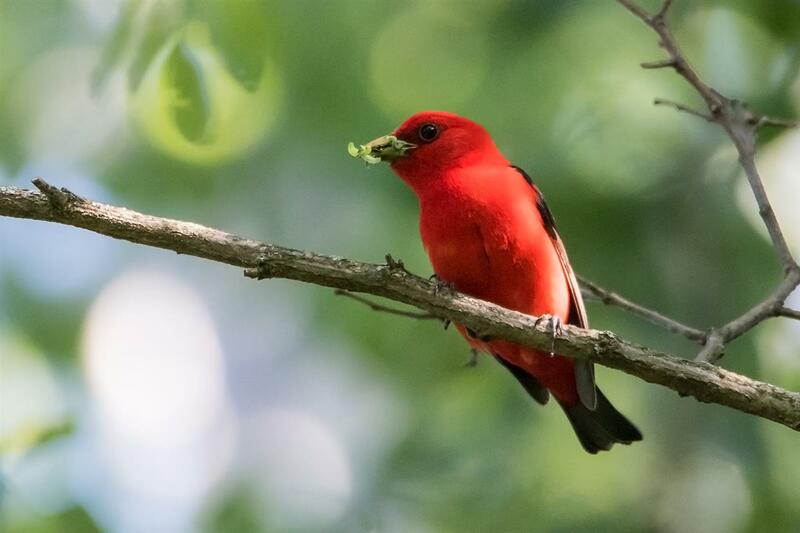 MONTHLY photos contributed by our members for July - 2017. 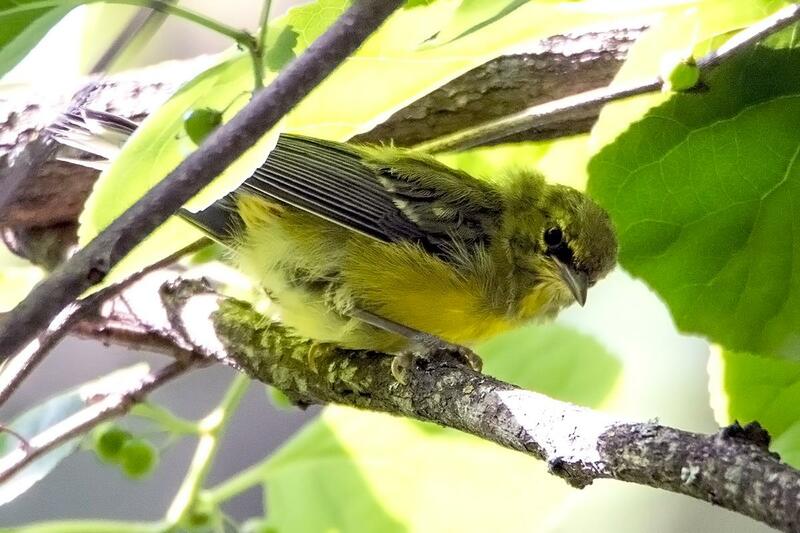 Newly fledged offspring of a Lawrence's Warbler and Blue-winged Warbler. 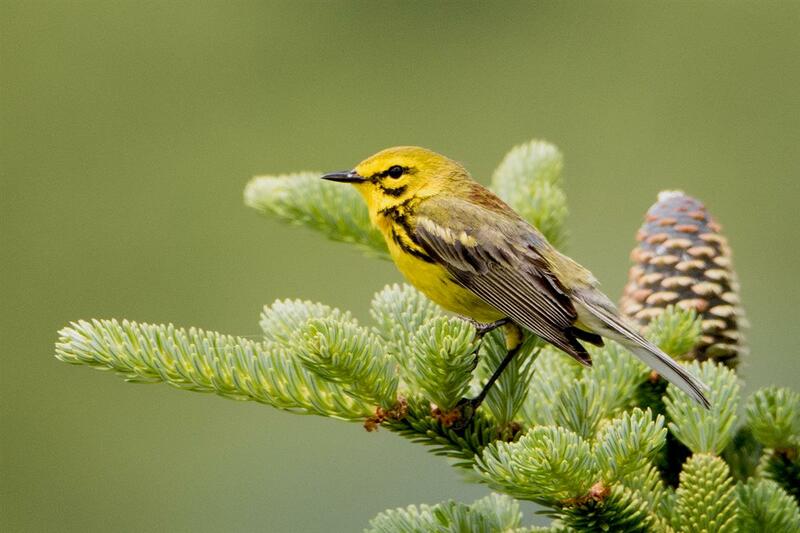 A nice find by Celeste Morien! 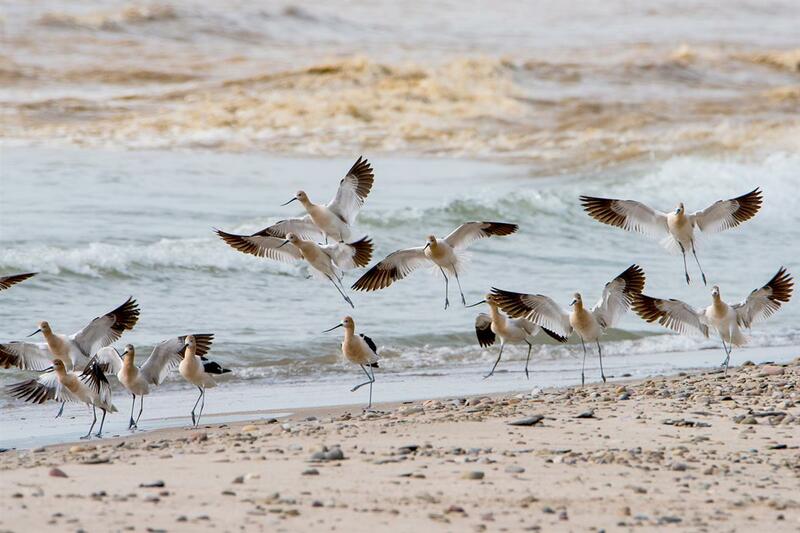 14 American Avocets on Bennett Beach found by Joe Fell on July 13th. 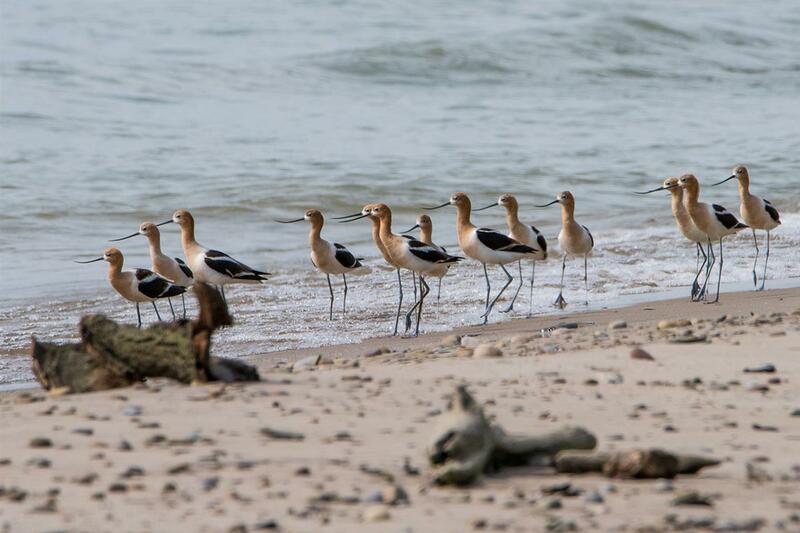 American Avocets settling down after being frightened by a dog on Bennett Beach. 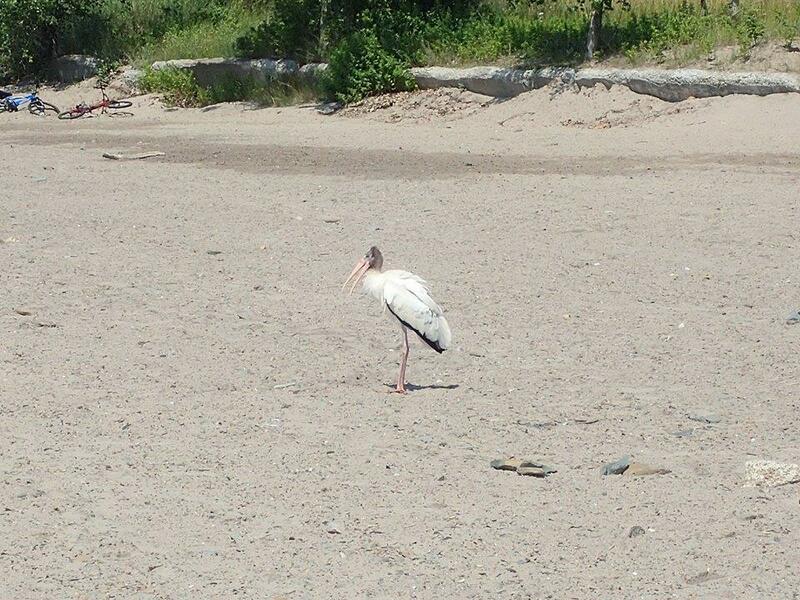 Wood Stork at Evangola SP on the Lake Erie shore. 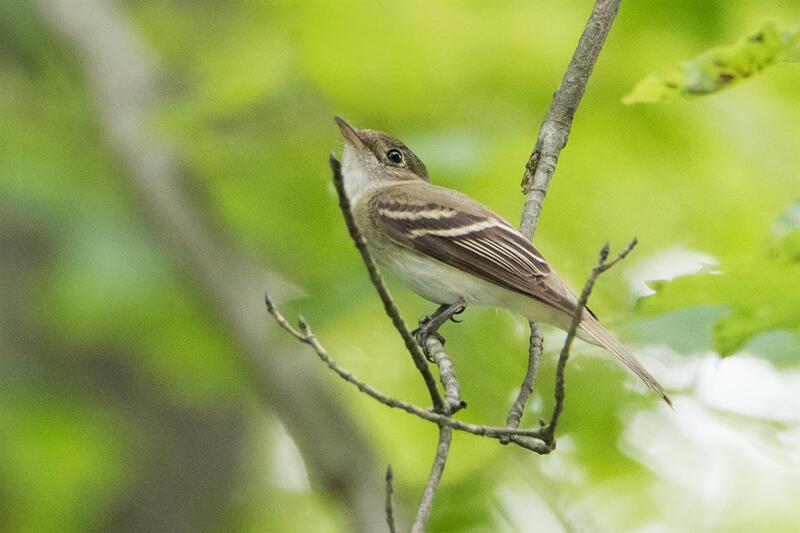 This bird was reported as being present here and at Sturgeon Point on July 11 and 12. 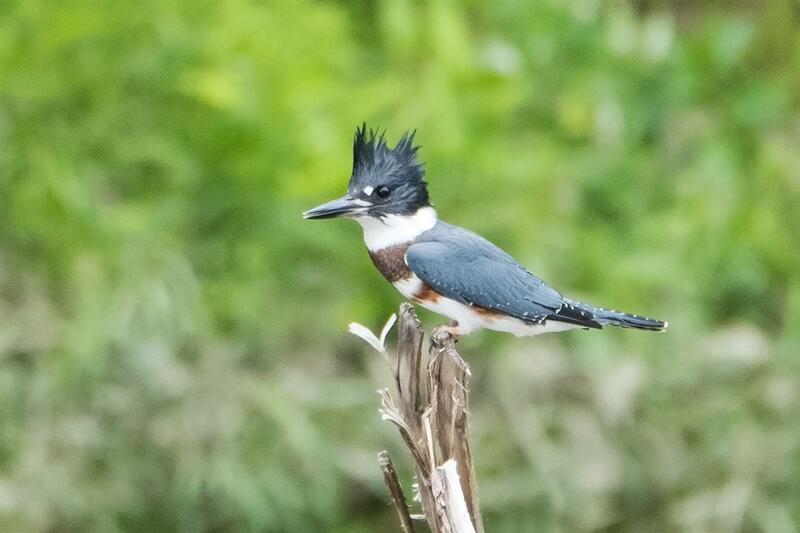 This photo was taken by David McQuay on the 12th. 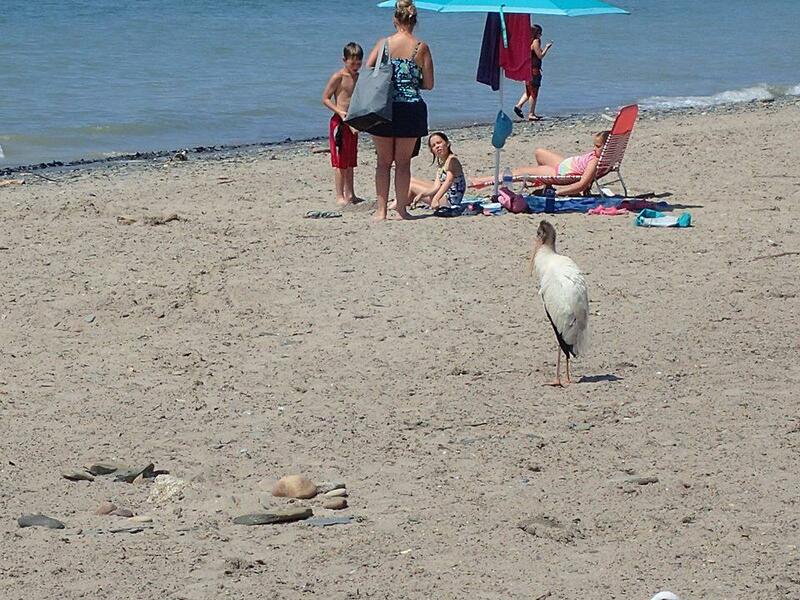 Wood Stork on Evangola SP beach by David McQuay. 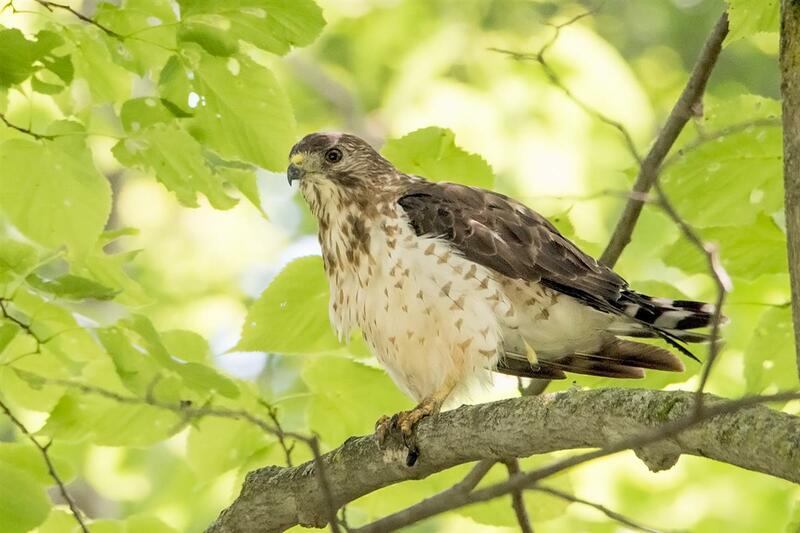 What the entire local birding community was hoping to enjoy for themselves. Last year an adult White Ibis showed up at Evangola! 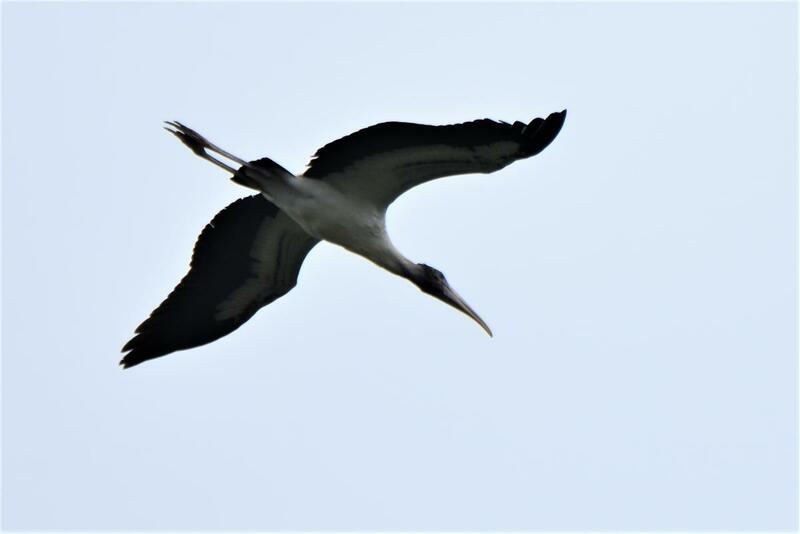 Wood Stork over Sturgeon Point by Mary-Ann Ingrao on July 12. 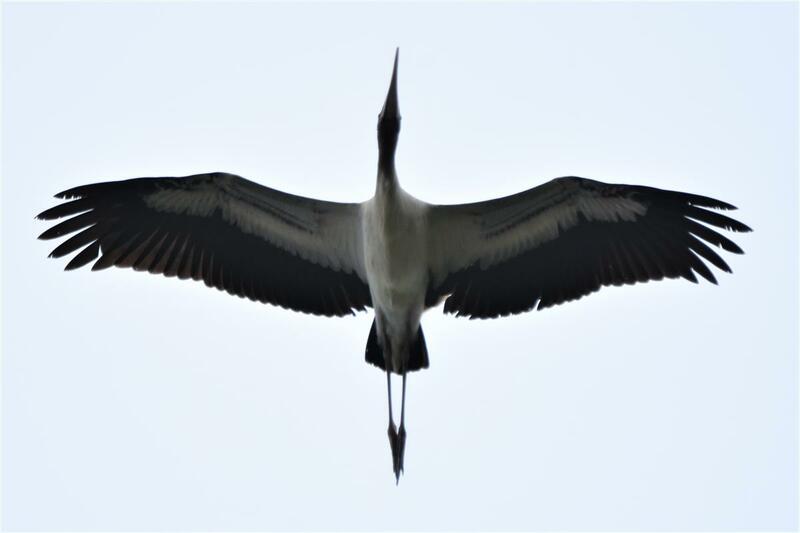 Mary-Ann Ingrao's fantastic photo of the July 12 Wood Stork as it flew past Sturgeon Point. 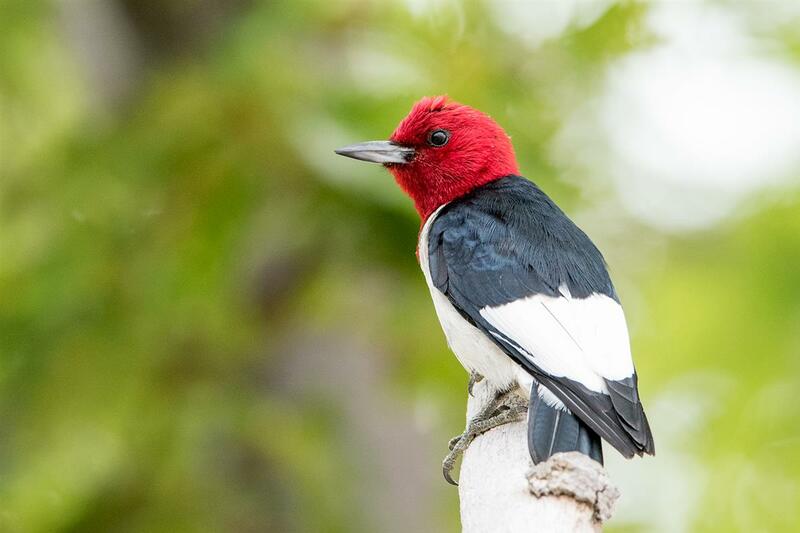 A confusing bird! 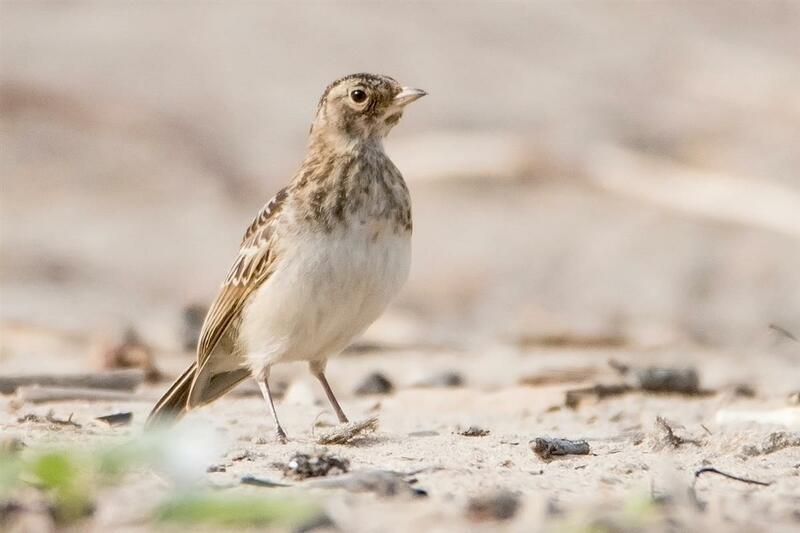 This is a young Horned Lark that somehow ended up at Woodlawn Beach on the 24th. 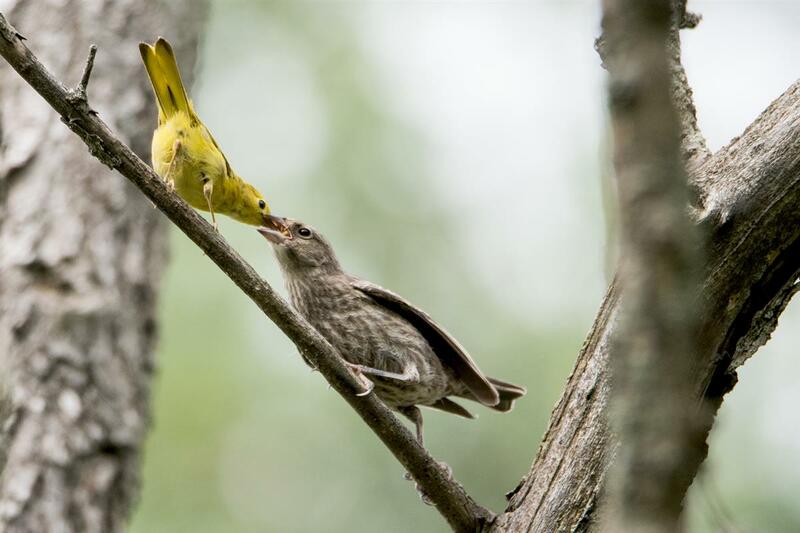 A Brown-headed Cowbird fledgling being fed by its surrogate parent, a Yellow Warbler. 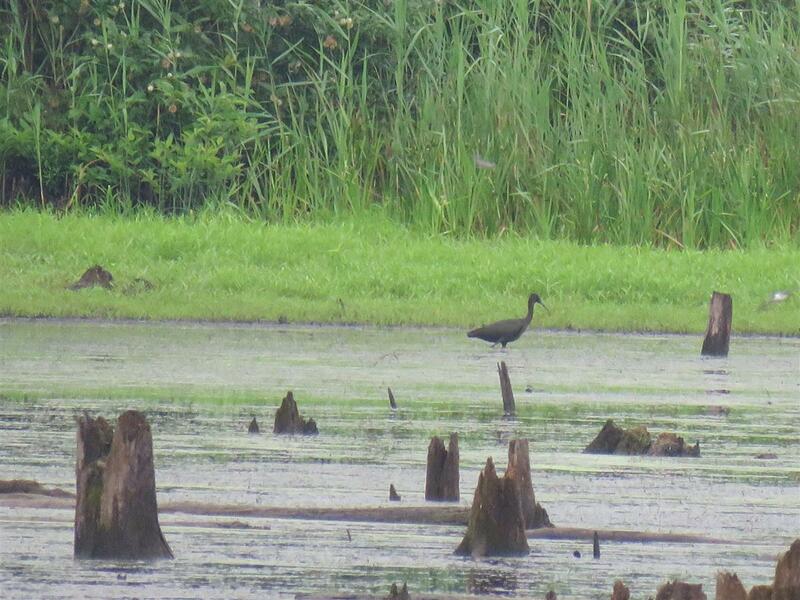 Glossy Ibis at Cinnamon Marsh, Tonawanda WMA. 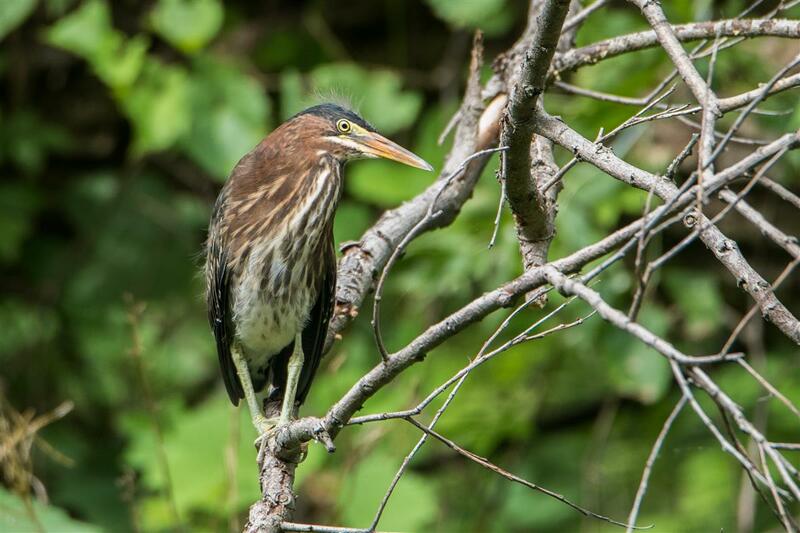 This bird was found on Tuesday the 25th and continues through today, the 27th. 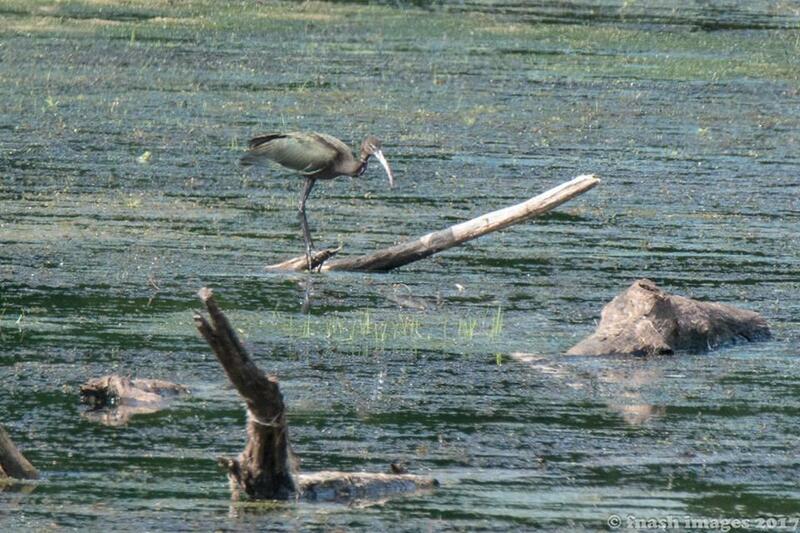 The Glossy Ibis from Cinnamon Marsh, TWMA. 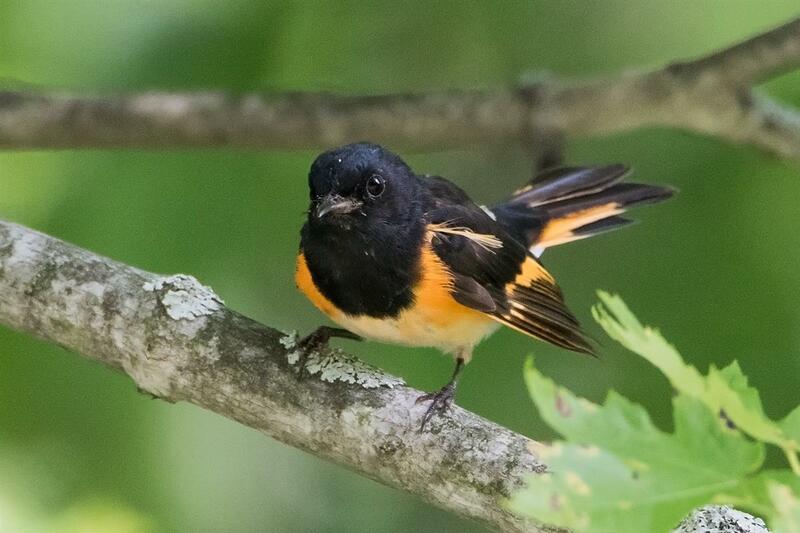 This photo was taken by Fred Nash on July 27. 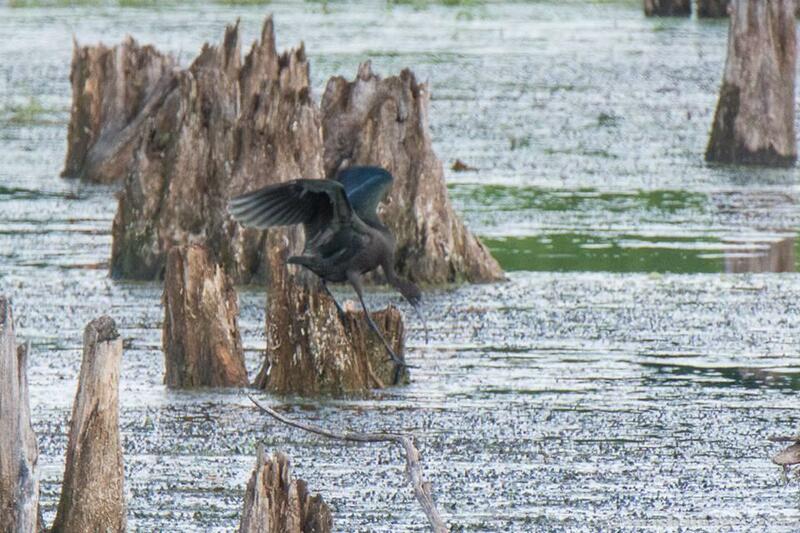 The Cinnamon Marsh Glossy Ibis can be difficult to pick out from the multitude of tree stumps in the marsh. 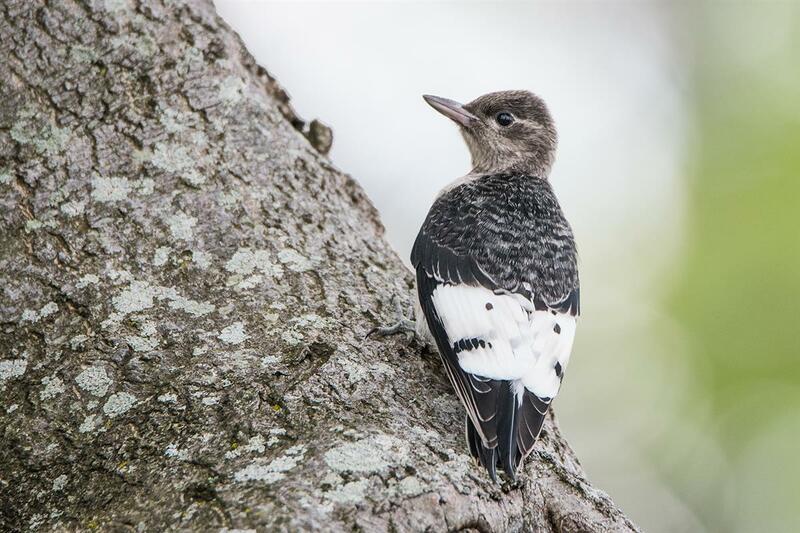 Photo by Fred Nash. 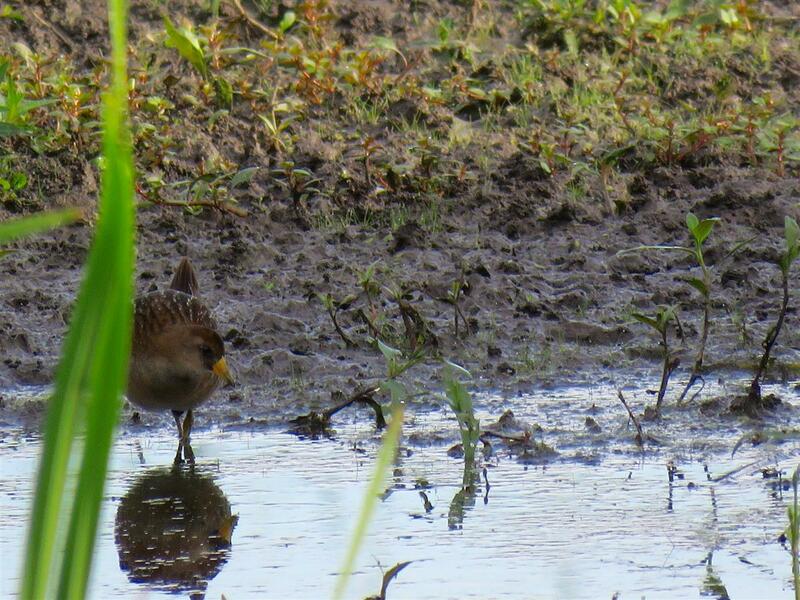 A juvenile Sora Rail from the Heritage Boardwalk at Tifft on July 29. 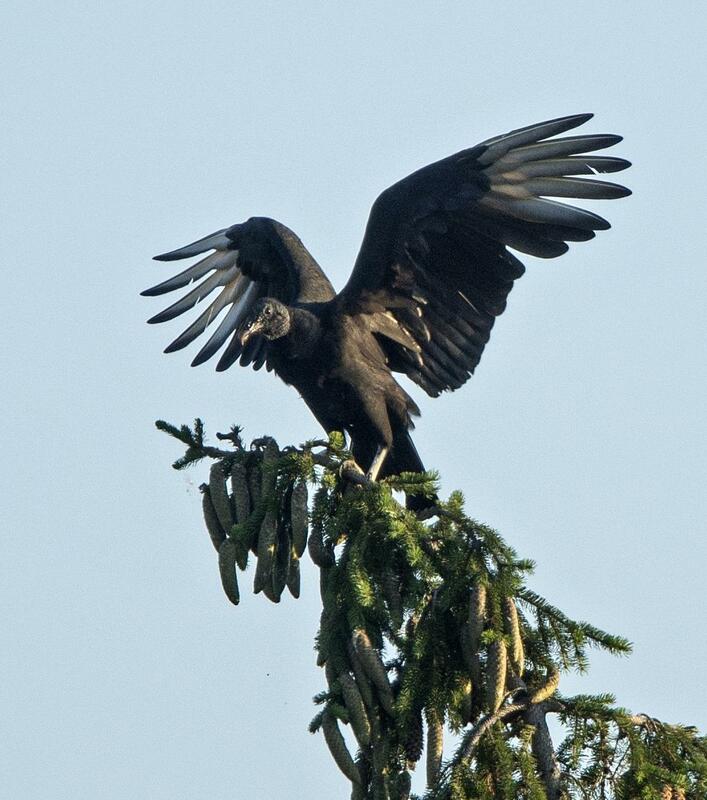 Black Vulture, Fort Niagara SP, Jul 15.